Display video thumbnails in Windows Explorer. 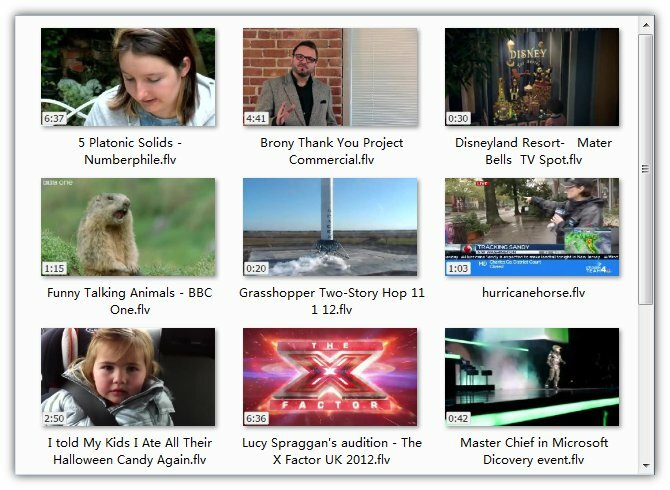 Video Thumbnailer is a Windows Explorer extension for displaying video thumbnails in your Windows Explorer. Display video thumbnails in your Windows Explorer. Extract video thumbnail from a specified position. Show video length on thumbnails. Support FLV, MP4, WMV, MOV, AVI, MPG, 3GP, and any video format.